This is a big, heavily-illustrated book about one of the most famous bookstores in the world. Situated in Paris, it was opened in 1919 by Sylvia Beach of Princeton, New Jersey, U.S.A. with the purpose of selling English books in France. It gathered all kinds of famous writers who made it their headquarters, i.e. Ernest Hemingway, Gertrude Stein, James Joyce, Scott Fitzgerald. It was forced to close in 1941 when the war made it too difficult to run. By 1946, another American, George Whitman of Salem, Mass., had graduated from college and was travelling the world, visiting France in 1946. 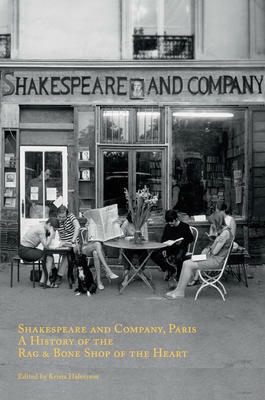 Intrigued by the success of Shakespeare and Company, in 1951 he took his inheritance money and opened another bookstore with the idea of making a meeting-place for all kinds of writers and book-lovers. He made his home there and gradually added more rooms which made it possible for visitors to sleep over, have the occasional meal. He also encouraged students to give two or three hours work to running the store in exchange for books. There are all kinds of visitors in this book: Allen Ginsberg (the Beat poet), Henry Miller, Nureyev, Jackie Kennedy. Whitman died in 2011 in his nineties. His daughter, Sylvia and her family have taken over the store. It is a fascinating story.